 Graphic Systems Services (GSS) turns 20 years old this year and has a new logo and web site to celebrate our anniversary. Our heritage goes well beyond 20 years as GSS is the offspring of the Didde and Harris web offset press companies which date back to 1946. As the OEM of these two companies, we still proudly support products built 50 years ago with quality parts and service. As with many companies in this industry, we had to change with the times. In the first half of our 20 year history, we responded to our customers needs by modifying the Didde and Harris web offset presses to print high quality direct mail. In the last ten years, we have focused our efforts on designing and manufacturing inkjet web presses. In this ten year period we have manufactured over 100 inkjet web transports for a variety of inkjet systems suppliers with web widths up to 52” and speeds up to 2000 fpm. We collaborated with Kodak on the design of the transport for the new KODAK PROSPER 6000 presses and now build the transports for worldwide distribution. We are proud to celebrate our 20 years of business with continual growth. We have transformed our business and are now experts in the integration of high speed inkjet onto web presses while continuing to support the installed base of Didde and Harris narrow web offset presses. Please visit our new web site at www.gsspress.com to learn how GSS can help you grow your business.